Photovoltaic (PV) devices generate electricity directly from sunlight via an electronic process that occurs naturally in certain types of material, called semiconductors. Electrons in these materials are freed by solar energy and can be induced to travel through an electrical circuit, powering electrical devices or sending electricity to the grid. Not sure if solar is right for you? Incentives for solar power in Iowa have never been better — it’s hard to find a better investment. Contact an All Energy Solar consultant to see what incentives are available in your area. Our team of dedicated professionals is waiting to assist you with every aspect of your solar energy project, from initial site visit and permitting to incentive paperwork and complete installation. All Energy Solar is your local solar panel installer in Iowa. We service the entire state, and our team of Iowa energy experts is eager to provide you with accurate information, specific to your project and location. The Iowa Solar Energy System Tax Credit is equal to a percentage of the federal solar energy tax credit. Each year, the State of Iowa awards up to $5 million in solar energy tax credits on a first-come, first-serve basis. The popularity of the credits has led to the full $5 million in credits being awarded each year. Schedule a free consultation to learn how this tax credit can work for you! Available to any property owner in the United States. Established by The Energy Policy Act of 2005, the federal tax credit for residential energy property applies to solar-electric systems and several other renewable energy technologies. The Consolidated Appropriations Act, signed in December 2015, extended the expiration date for PV technologies, and introduced a gradual step down in the credit value for these technologies. Expenditures with respect to the equipment are treated as made when the installation is completed. If the installation is at a new home, the “placed in service” date is the date of occupancy by the homeowner. Expenditures include labor costs for on-site preparation, assembly or original system installation, and for piping or wiring to interconnect a system to the home. The maximum allowable credit, equipment requirements and other details vary by placed in service date, as outlined below. If the federal tax credit exceeds tax liability, the excess amount may be carried forward to the succeeding taxable year. The form that you will need to complete in order to file for the federal tax credit is Form 5695. It is to be filed in conjunction with your Federal Income Tax Return. This form can be found at www.irs.gov. Available to any business in the United States. Under the federal Modified Accelerated Cost-Recovery System (MACRS), businesses may recover investments in PV through depreciation deductions. A solar PV system is classified as five-year property (26 USC § 168(e)(3)(B)(vi)) under the MACRS, which refers to 26 USC § 48(a)(3)(A) to define eligible property. Schedule a free consultation to learn how accelerated depreciation on solar can help your business! Available for rural customers, as defined by the USDA. The Rural Energy for America Program (REAP) provides financial assistance to agricultural producers and rural small businesses in rural America to install solar PV systems. The maximum funding available is 25% of system cost, and each businesses total incentive will be determined based on a business level feasibility study. Schedule a free consultation to learn whether your business qualifies for USDA REAP funding! 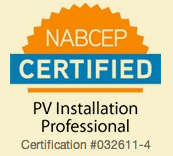 Ready to talk about your solar energy system possibilities? Contact us to get a free solar quote. Net metering allows residential and commercial customers who generate their own electricity from solar power to feed electricity they do not use back into the grid. It is essentially a billing mechanism that credits solar energy system owners for the electricity they add to the grid.